For furniture that's always received warmly! Always there for you, day in day out! Reliable wherever you need us! A strong team for all situations! We specialise in storage in high-bay warehouses, conception and implementation of appropriate warehouse logistics, commissioning, handling, and furniture transport. 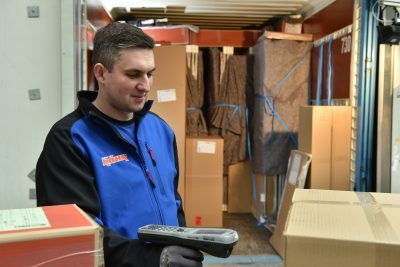 The entire logistics process is optimised for both assembled modular furniture, disassembled goods, as well as high-quality upholstery and seating furniture. We have experienced and quality-minded employees, state-of-the-art systems, as well as customer-specific concepts all available for you.